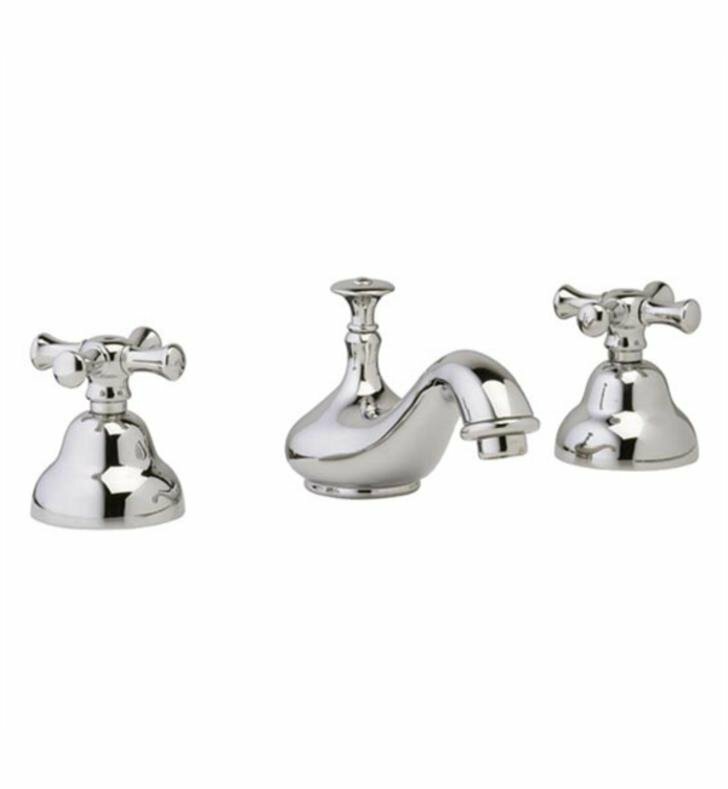 The Normandy Double Cross Handle Widespread Bathroom Sink Faucet with Low Spout is made from premium quality materials that ensure lasting utility, it's providing greater performance you expect. The handle are coming with charming design, it will beautify the bathroom with a touch of elegance. The faucet is available in multiple rich finishes and is perfect for the modern bathroom. H 3 3/4" x W 14 1/2" x D 6 7/8"